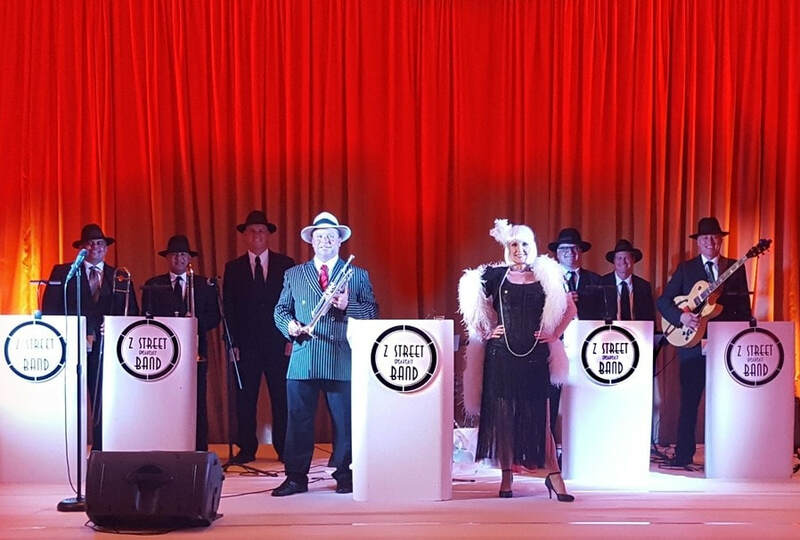 ﻿ Band Source Productions is Florida's most popular, prestigious and sought after entertainment company, specializing in world class bands for your corporate event, theme party, awards show with walk on/walk off cues, charity gala, or private event. Performing over 140 events annually, Band leader/trumpet player Mark and his bands are preferred vendors for Walt Disney World, Universal Studios, Disney Cruise Lines aboard the Disney Dream, ﻿ and frequently perform at The Breakers in Palm Beach, the Four Seasons Resort Orlando, the Ritz Carlton, and many more. Their bands have opened for Sting, Taylor Swift, Howie Mandell, and Montel Williams. They've performed for celebrity clients and Fortune 500 Corporations including corporate events for McDonalds, HGTV, Macy's, Cisco, and the prestigious INC. 5000 Gala Awards. Their boutique bands include non themed and themed bands, Gatsby, 50's, 80's, James Bond, Mardi Gras, Steampunk, Marching Band,and more. The musicians that perform in all bands are professional musicians at Walt Disney World's Magic Kingdom. Band Source Productions Carries Multi Million Dollar Liability Insurance, which most venues require. Whether your event is large or small, our selection of trios to 12 piece bands can fit any budget. ​Here is a list of a few of their previous clients. Band Source Productions musical groups features band leader, trumpet player, and vocalist Mark and female vocalist Kathy along with horns, guitar and rhythm section depending on band size. Combining creativity with today’s technology and innovation allows our musical groups to have a full and authentic sound true to the original artists. Corporate entertainment Orlando, Florida, Palm Beach, Sarasota, Jacksonville.